The first thing I used to think about when the term “marketing” is clickbait headlines. But the more I learn about Pardot, Salesforce’s marketing automation tool, the more I appreciate the fine line that companies have to walk in order to tell the world about their products without turning off their audience. When you think about those emails in your inbox that you take the time to read what is it that compels you to do so? It’s some magical combination of level of interest in the subject, writing, branding and content, and the fact that that particular company has not annoyed you. 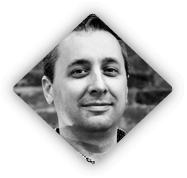 If a marketer, or for that matter a marketing automation tool, can perform so well that you kind of forget that it’s even a marketing email, then it is doing its job and doesn’t have to worry about walking that line. And that’s what Pardot does better than any other tool I’ve used. 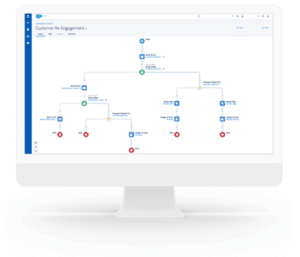 Pardot’s Journey Builder allows the marketer to take into account subtle nuances of things like the weekly/monthly/annual inbox cleanout. If a link is clicked well after the initial email we can take a different path than if it was clicked immediately after it was sent. Pardot also allows us to lessen the burden we ask of the recipient by not prompting them to give us the same information each time. If the recipient has already filled out their Name and Email we can ask for their Title or Zip or some other field the next time we see them. 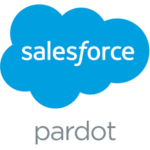 Pardot makes the whole thing easy. It connects seamlessly and tightly with webinar tools and Salesforce. It allows us to track a wide variety of online media in a number of ways and it allows us to respond to all of these different possible interaction types automatically. The integration writes back to Salesforce to take advantage of the platform’s excellent analytics. Pardot is like a waiter in a great restaurant. Guiding and assisting but unobtrusive. The more I learn about it the more I appreciate its breadth and depth. At Red Argyle, we’ve engaged with multiple customers to help them get more out of their Pardot implementation and make sure it’s inline with their strategy, and we’d love to hear from you! And now some news – I’m pleased to announce that I’m now certified so in addition to the experience I’ve got the paper to prove it! Now if you’ll excuse me I have to go sign up for the monthly Lego minibuild before it fills up!